When I first heard of Create Caribbean, I didn’t have any real clue as to what it was about. All I knew was it consisted of a small group interns doing research together However, once I got to know what it was all about, my perspective towards it changed. 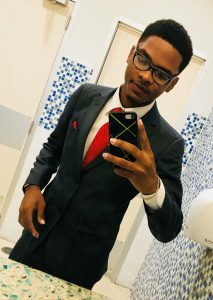 I joined Create Caribbean for a chance to apply and share my knowledge and techniques in Information Technology to aid in the research projects being done. I also recognized that this internship could help me improve my research skills and teach me new things. One thing I didn’t take into consideration is the amount of time and work I would have to put in. Unlike the other interns who began their internship at the time that they had started college, I was already in my second year, and would only have a semester and a half to contribute to the team. This made me feel behind time and that I’d have to push much more work to feel accomplished. In addition to that I was an I.T major, which adds significant value to my role. Now being fully integrated as an intern, I think of how to handle work differently. Thinking it all the way through is definitely key. Being able to properly prioritize whatever needs to be done and in a timely fashion makes all the difference in the world of work. With that being said I am still dealing with procrastination like many of my peers are. In terms of skills, my social skills showed the most improvement as I am impressed with the number of friends I have made through the internship. As a student, I have learnt a method of keeping my assignments more organized and complete tasks at the earliest given chance because there is always a lot more to be done. Time management is something I am also still working on. At the moment, I am working on minor changes for the main Carisealand website and adding more content to the map. My first impression of the mapping was that it looked quite difficult and I was concerned I would make a big mistake, though I was clearly overthinking it. Certain places on the map, although given direct addresses, were still quite difficult finding as well. Mikayah gave me the proper guidance I needed and ensured everything was double-checked and accurate to make sure I was on the right track. I have successfully mapped all content needed thus far and is now working on a new objective which is learning how to use the Git command-line interface and its commands. I sometimes wish that the idea of developing new ideas and bringing them into fruition using my I.T skills were as easy as the research that I see my colleagues do. All in all I am so far loving my Create experience and so it’s going to be sad when the semester comes to a close. My only wish is that I had joined sooner.